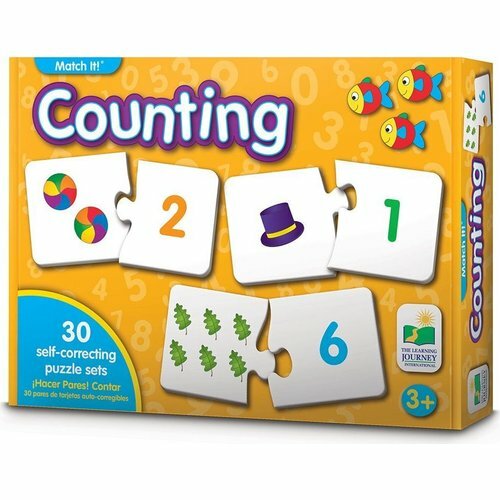 This colorful set of 30 counting puzzle cards provides children with an excellent introduction to mathematics and the concepts of number recognition and counting . each card features the number of pictures that are associated with the matching answer. simply match the number the correct number of objects to complete the puzzle. the puzzles are self-correcting as no two puzzle cuts are the same. a fun way to learn counting.